Book by 4/11. 21-day advance purchase required. Nonrefundable. Seats, travel days, and markets limited. Blackout dates apply. 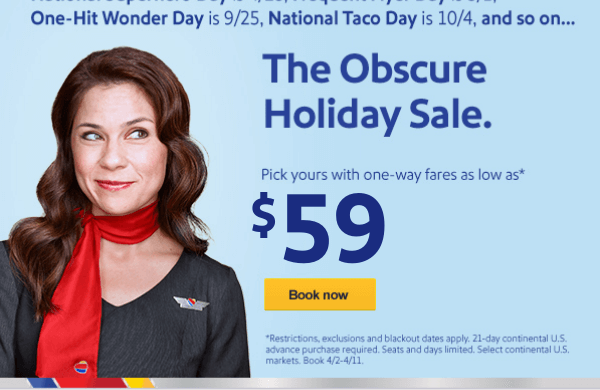 Fares valid only on nonstop service, unless otherwise indicated. Continental U.S. travel valid 4/23/19 – 6/12/19 and 8/20/19 – 10/31/19. International travel valid 4/23/19 – 5/16/19 and 8/20/19 – 10/31/19. Points bookings do not include government fees from $5.60 per one-way flight.